If you're working as Linux sys-admin in a small or middle-sized company (80-300 people) whose personal and hosted infrastructure is quicly growing, you will soon face a requirement that all running Linux servers hosting applications requires unification in existing single / clustered Users Applications to be able to Login with same User / Password across all company Linux / UNIX servers. Having single id / passwords across multiple servers is also handy for various routine sys-admin purposes as this simplifies daily maintanance tasks and deployment of "one view" server monitoring and bunch of software easily to be replicated on new server nodes. This is where LDAP ( Lightweight Directory Access Protocol ) comes at help. LDAP authentication with use of PAM (Pluggable Authentication Module), allows to easily achieve a common centralized login mechanism across a Linux server "farm" using SSH or Xlogin (if X some kind of GUI environment) is to be used. Configuring Linux servers to use a centralized LDAP server to store user / passwords and other user information is also very useful whenever you want to have a common login mechanism of a group of users across both Heterogenous network with Windows / Linux and UNIX servers. By keeping the users into a centralized LDAP server, users have access with same User / Pass to both Windows / Linux ,UNIX Sun OS / HP-UX / Unix / FreeBSD etc. Centralized LDAP for Production environment and a Testing one is a common thing to see in large IT infrastructure (hosting / support) companies such as IBM / HP / Google / Yahoo etc. .
LDAP credentials centralization is common in Telecommunication companies, many universities such as Berkley / MIT and in all kind of big business-es or anywhere where its needed to have in a common database replicated across servers hundreds of thousands of users. Linux makes authentication to remote LDAP server through PAM (Pluggable Authentication Module) that provides authentication via series of modules which return Yes / No responce in Windows NT / XP something similar was called GINA in Windows 7 / 8 / 2012 a similar technology is used called Credential Provider. To make new settings affective restart nscd service (handles passwd, group and host lookups caching previous credential results). However this method of configuration is probably to be soon be obsoleted in future Debian releases the modern way to configure servers to authenticate to central LDAP server is with SSSD, i.e. On client machines, both /etc/ldap.conf and /etc/openldap/ldap.conf need to contain the proper server and search base information for the organization. Changing password for user redhat. When using authconfig to configure LDAP server authentication will be managed by SSSD (System Security Services) Daemon for more check out man sssd. If you want to use LDAP auth within PHP/ Perl applications you will also need to install php5-ldap, libnet-ldap-perl (debs)- on Debian / Ubuntu or php-ldap, perl-LDAP.noarch (rpm) on CentOS / Fedora. This entry was posted on Wednesday, December 3rd, 2014 at 11:37 pm	and is filed under Computer Security, Everyday Life, Linux, System Administration, Various, Web and CMS. You can follow any responses to this entry through the RSS 2.0 feed. You can leave a response, or trackback from your own site. 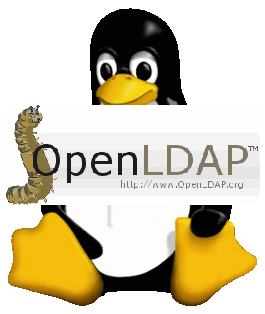 We are working on to configure our Linux servers to use LDAP for Authentication using PAM_LDAP + SSSD. Our LDAP Usernames are based on staff numbers (all numeric starting at 1). This will cause a conflicts with daemon, bin, sys… system accounts. What is the best option for us given our Username pattern? Perhaps the qucikest and less painful will be to lock some UserIDs which are the same as the one for daemon, bin, sys and rest of your system accounts. Or if possible just don’t start the user naming from 1 but from lets say 2000 onwards?